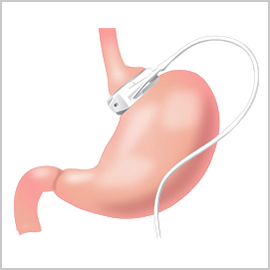 Approved by the FDA in June 2001, LAP-BAND® Adjustable Gastric Banding System, (an Allergan, Inc. company) is an adjustable surgical treatment for morbid obesity in the United States. It induces weight loss by reducing the capacity of the stomach, which restricts the amount of food that can be consumed. During the procedure, surgeons usually use laparoscopic techniques (using small incisions and long-shafted instruments rather than a large incision), to implant an inflatable silicone band into the patient’s abdomen. Like a wristwatch, the band is fastened around the upper stomach to create a new, tiny stomach pouch that limits and controls the amount of food you eat. It also creates a small outlet that slows the emptying process into the stomach and the intestines. As a result, patients experience an earlier sensation of fullness and are satisfied with smaller amounts of food. In turn, this results in weight loss. There is no cutting, stapling or stomach rerouting involved in the LAP-BAND Weight Loss Surgery System procedure. It is a minimally invasive surgical option with an average operative time of less than 1 hour. The laparoscopic approach to the surgery also offers the advantages of reduced post-operative pain, shortened hospital stay and quicker recovery. 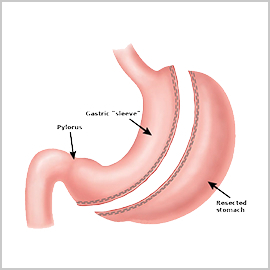 If for any reason the LAP-BAND Weight Loss Surgery System needs to be removed, the stomach generally returns to its original form. The LAP-BAND Weight Loss Surgery System is an only adjustable weight loss surgery available in the United States. The diameter of the band is adjustable to meet your individual needs, which can change as you lose weight. For example, pregnant patients can expand (or loosen) their band to accommodate a growing fetus, while patients who aren’t experiencing significant weight loss can have their bands tightened. To modify the size of the band, its inner part is filled with saline solution which allows inflation or deflation, therefore, making the band adjustable to the patient’s weight loss needs. Once the band is placed, the surgeon can adjust the band by tightening or loosening the inner part of the band which will cause a change in the stoma size (stomach outlet). The adjustment is done by entering the access port with a fine needle through the skin. The adjustments are preformed in the doctor’s office or radiology suite in a matter of minutes and it’s painless. Caution: This device is restricted to use by or on the order of a physician. The BioEnterics LAP-BAND Weight Loss Surgery System and accessories contain no latex or natural rubber materials. The LAP-BAND Weight Loss Surgery System is Patented and Copyrighted by BioEnterics and has been approved by the FDA. *The American College of Surgeons Bariatric Surgery Center Network (ACS-BSCN) database was developed as part of the ACS-BSCN accreditation program. This analysis of the ACS database includes data from 28,616 patients. †The Bariatric Outcomes Longitudinal DatabaseSM (BOLDSM) was developed to help ensure ongoing compliance with the American Society for Metabolic and Bariatric Surgery (ASMBS) Bariatric Surgery Center of Excellence (BSCOE) program and develop general knowledge about optimal bariatric surgery practices. This analysis of the BOLD database includes data from 57,918 patients. 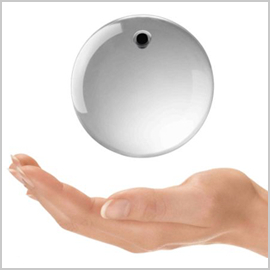 Warnings: The LAP-BAND® System is a long-term implant. Explant and replacement surgery may be required. Patients who become pregnant or severely ill, or who require more extensive nutrition may require defilation of their bands. Anti-inflammatory agents, such as aspirin should be used with caution and may contribute to an increase risk of band erosion. Comparing Surgical procedures – what’s happening inside? Adverse Events: Placement of the LAP-BAND® System is major surgery and, as with any surgery, death can occur. Possible complications include the risks associated with the medications and methods used during surgery, the risks associated with a surgical procedure, and the patient’s ability to tolerate a foreign object implanted in the body.